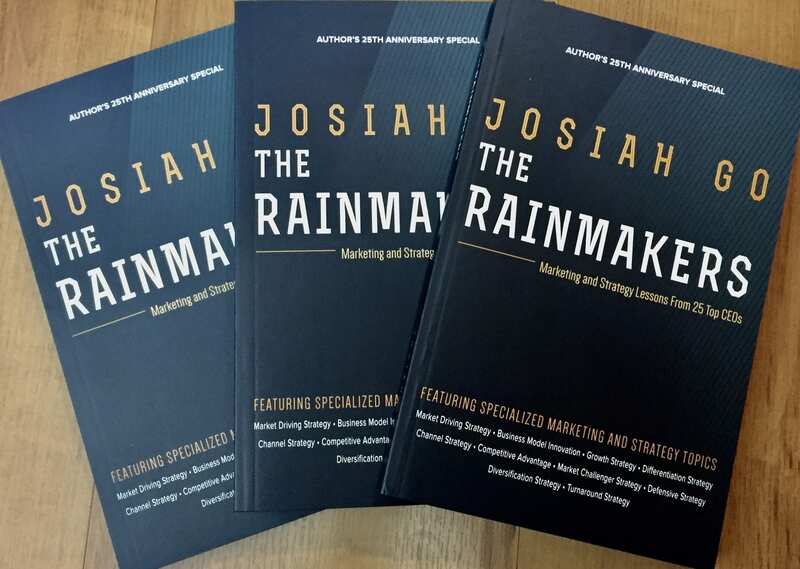 This is a continuation of last week’s article which presented the first part of the summary of the book Marketing Breakthroughs: From Trials to Triumphs written by the Mansmith team. Macasaet had pointed out (in his article) that no longer is the retailer or the manufacturer the center of marketing but the consumer. Aptly, the next article by Chiqui Escareal-Go explored this customer-centric mindset by busting silos in organizations to ensure excellence in service delivery by all departments in the company. Escareal-Go presented the BIDA framework that looks into the Barriers, Irritants, Disappointments and Annoyances of customers and discussed this with the ESCAPER acronym that identifies specific brand benefits that customers are on the lookout for (Economy, Security, Convenience, Appearance, Productivity, Esteem and Reliability). By identifying each “moment of truth” in the company-customer interaction and looking into the customer’s BIDA and ESCAPER points, the marketer can identify the common service gaps that first need to be addressed and then could also be a source of a new service idea. The BIDA – ESCAPER matrix also revealed the roles and relationships of each department in delivering the over-all customer experience. Further looking into gaps and other areas of customer irritants as a source of new ideas, Benedicto “Poch” Cid, Jr. discussed how marketers can spot new product and service opportunities. He shared several ways to do this specifically: checking out trends in other countries and applying the same with a local twist if needed, being on the lookout for uptrends in one’s brand or category by checking sales data or talking to salesmen, inspecting trends in other categories and seeing if the same can be applied in one’s own category, learning to recognize a potentially good idea even before others see it, getting ideas from technical literature and other publications, understanding how consumers respond to change, using formal research and focus group discussions and keeping a record of observations so these can be tracked over time. The second part of the book dealt with crisis management and execution. Rowen Untivero talked about the four sales management situations where each situation requires different strategies and accordingly different sales management styles. He emphasized the Troubled situation, which is the crisis mode and provided a crisis management process while understanding the dynamics of the impact and the probability of the crisis to dictate the correct action. Furthermore, Untivero provided crisis strategy options depending on the market and competitive realities on hand to develop an effective sales force by looking into competence and attitude, goal achievability, role of sponsor and reward system. Following Untivero’s article, Malu Dy Buncio offered her own personal story on how her internal team was able to deliver and remain whole during times of crisis. As an expat assigned in Indonesia during the 1997 Asian regional crisis, Dy Buncio shared how she was able to carry her team through that difficult period without loss of any staff. She spoke on the important role of the leader who dictates the culture of the organization and how the company will act and react in any test case. Weena Pineda then discussed advocacy marketing in the context of addressing not just the functional but also the emotional benefits the brand can offer to establish a stronger relationship with consumers that can survive trying times. She talked about the successful “Lucky Me Kainang Pamilya Mahalaga” campaign that sought to re-establish the Filipino family’s longstanding ritual of eating meals together as a source of value formation and emotional connection. The good thing about bad times is that they don’t last long. Either we are positive enough to see it that way or we are proactive enough to make things happen for our organizations and ourselves. We can choose to come up with new ideas and ways of doing things to challenge the status quo or even more daring, to vigorously fight it out when others opt to wait and see. The Filipino marketer has always been not just resilient but creative. Hopefully, what we have put together here can give the reader enough inputs to shift to higher gears, have a breakthrough and soar from trying to triumphant times. Mansmith and Fielders, Inc. is the leading marketing and sales, strategy and innovation training company in the Philippines. Marketing Breakthroughs : From Trials to Triumphs is 208 pages long and available for only P450 by order online at www.mansmith.net. Delivery is free nationwide and copies are limited. Please visit www.mansmith.net, or email info@mansmith.net for your orders. You may also text us at 0918-81-168-88 for other questions and concerns.